Candy & Wine – The Perfect Pairing! Can you pair Halloween goodies with your favorite wine? At first glance, most people’s faces cringe…the idea of sipping an acidic beverage after ingesting that sugary treat is not the most appealing. But with every challenge there are experts and voila! 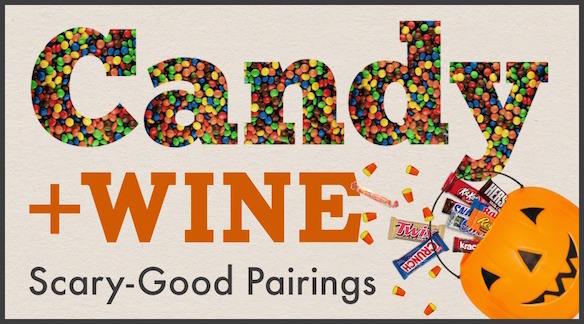 Experts say if you want to indulge in the Halloween candy – there is actually a perfect pairing with your favorite wine! 1. Reese’s Peanut Butter Cups and Sherry. The raisin, caramel, and almond flavors of the Sherry help enhance the creamy peanut butter filling. 2. M&M’s and Port wine. The dark, sweet, black fig and dried fruit notes of Port counter-balances the milk chocolate in M&M’s. 4. Twix and the Portuguese wine Madeira. Coconut and caramel both complement the brown sugar nuttiness of Madeira. 5. Sour Patch Kids or Sweet Tarts and Riesling. The sweetness of the Riesling counters the candy’s tartness, and finishes with a cleansing kick of acidity. 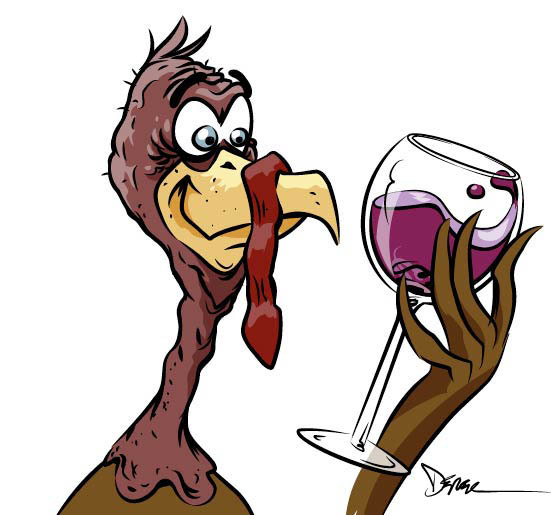 Enjoy your treats and remember…if you “trick or treat” and sip…don’t drive!